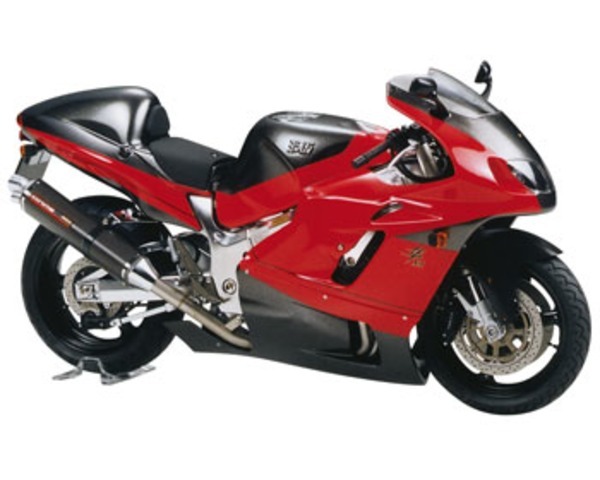 Assemble the Yoshimura Hayabusa X-1 with this Plastic Model Kit from Tamiya's 1/12th Scale Motorcycle Series. Suitable for Ages 10 & Older. Highly detailed liquid-cooled 4 cylinder engine. Yoshimura original cowlings and Tri-Oval muffler. One-piece molded upper cowling and fuel tank. Realistically treaded rubber Dunlop tires. Masking seals are supplied to assist in painting.